Home Travel Super fun adventure activities to keep you busy this summer. Super fun adventure activities to keep you busy this summer. If you are the one who would love to indulge in action-packed sports – here is your bucket list. Regardless of whether you want to get high or go low, we promise you that your summer stories for this year won’t be the least boring. Nothing can match the excitement of a motorbike ride across those zigzag mountain roads. As the wind rushes by and the road’s twists and turns at every corner, it’s a whole new world of excitement that awaits you. 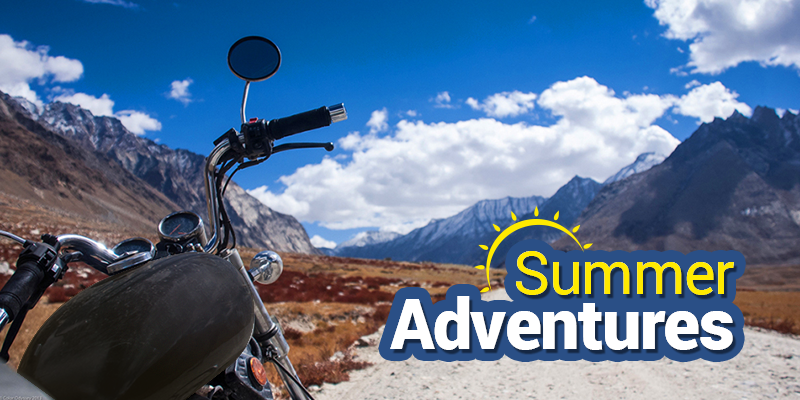 Riding on an adventurous motorbike ride around the most noteworthy streets from Shimla via Manali to Leh can be really a life-changing experience. 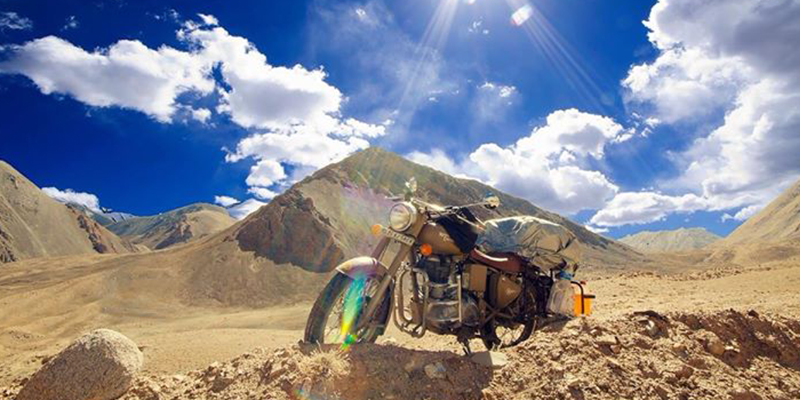 There are a few Himalayan Motorbike tours which include traversing a few passes. You can visit the most prevalent tourist spots like Manali – Leh – Nubra valley – Pangong. It will include all other activities such as photography, camping and paying a visit to monasteries.Passing through different religious communities and disengaged towns will give motorbikers a feeling of achievement and ultimate bliss. Fitness Matters: Biking through such a vast landscape could be a challenge too. Make sure that you are physically fit to drive at various altitudes. How To Reach: The best way to reach from Delhi to Shimla is via bus. Since there are no direct trains, the nearest railway station is Kalka. The mountaineering institutes in India started rock climbing mainly for training amateur mountaineers. However, as more and more Indians are taking to the sport, and even performing well at international levels, rock climbing is fast gaining popularity as adventure sports among newbies. One can just walk in and try one’s hand at basic rock climbing with the help of instructors. Rock climbing is one of the popular adventure sports in Madhya Pradesh along with rappelling, valley crossing, and mountain climbing. The mighty Satpura mountain ranges offer terrain for adventure activities like rock climbing and trekking. 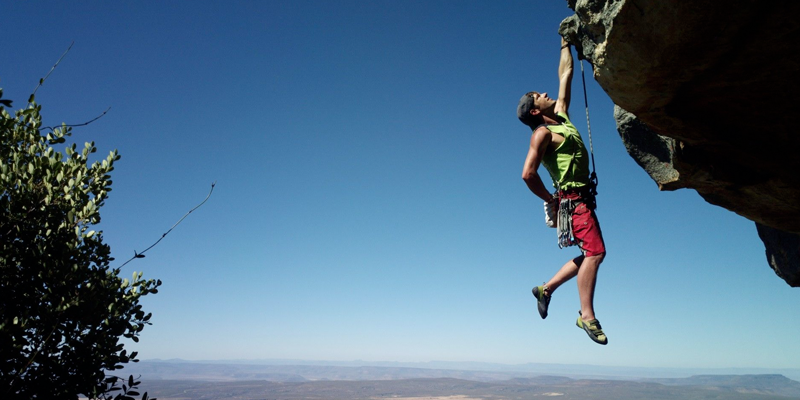 Price Range: The best of rock climbing adventure can be experienced at Pachmarhi where there are various adventure clubs offering such activities ranging from Rs. 1500 to 2000. How To Reach: Pipariya is the closest railway station to Pachmarhi(47 km). You can easily hire a taxi or bus to reach your destination. Coonoor is a quaint, little hill station at Nilgiri Hills in Tamil Nadu.With an abundance of natural beauty, this place should be on your travel hit list. But there is more than that here. You can actually do a lot more than just having a relaxed holiday. 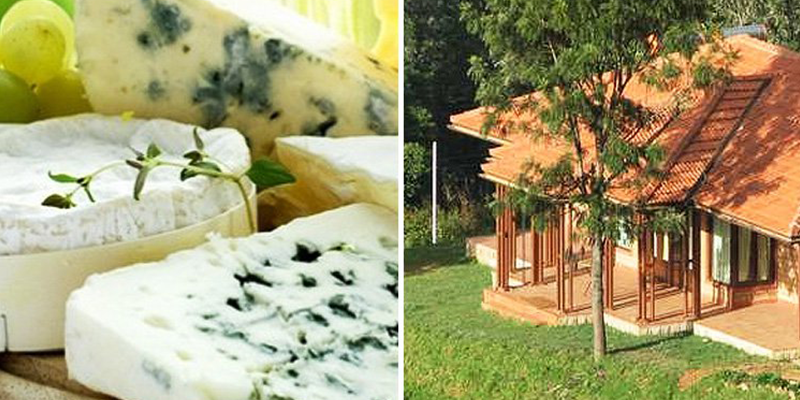 Yes, there is this amazing farm stay and also cheese making courses that the city offers you. Get a glimpse of the subtle, simple and blissful rural life by opting for a farm stay and participate in a cheese making lesson. By producing a wide range of organic gourmet cheese(more than 20), they work towards the goal of shaping an eco-friendly, holistic and self-sustaining lifestyle. Where To Go: The best place to experience it is by visiting – Acres Wild. The package depends upon the number of days and members. How To Reach: Coonoor is the only available rail stop for Nilgiri Mountain Railway between Ooty and Mettupalayam. You can also easily board a bus from Bengaluru. Standing on the edge, you look down into the rocks and the only thing you are conscious of is a cold sweat running down your spine. 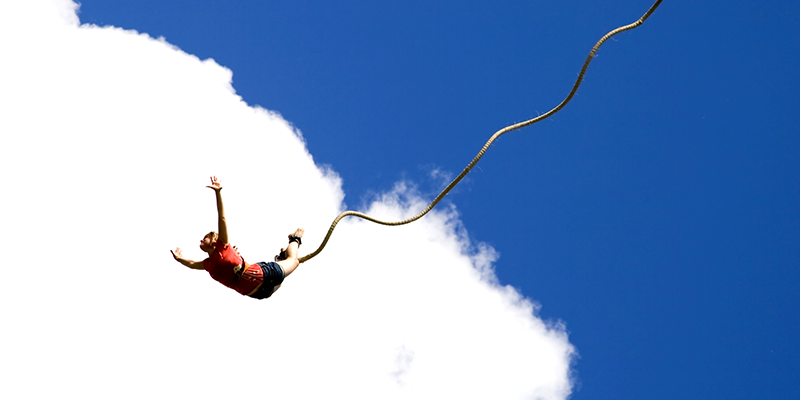 Just then, your trainer tells you, “ Look straight, Ready…1, 2, 3 and Bungee…! And there you plunge into the valley, shouting. Bungee jumping has been in India for almost a decade now but this is the first time that adventure enthusiasts can bungee jump into a river valley without shelling out for a holiday to New Zealand or Nepal. And this is all because of the country’s first cantilever bungee platform built on a rocky cliff overlooking ‘Hall’, a gushing tributary of the Ganges in Rishikesh. With all the safety measures taken into consideration, making an adventurous jump here would be a lifetime experience. Health Is Wealth: Check your weight to height ratio and do not hide about your back illness. How To Reach: Rishikesh has its own railway station and all major trains pass through here. Also, it is just a 6-hour drive from Delhi by bus, taxi or your own car. Zorbing is one of those adventure activities which involves a lot of thrill and experience in witnessing the world upside down, literally. 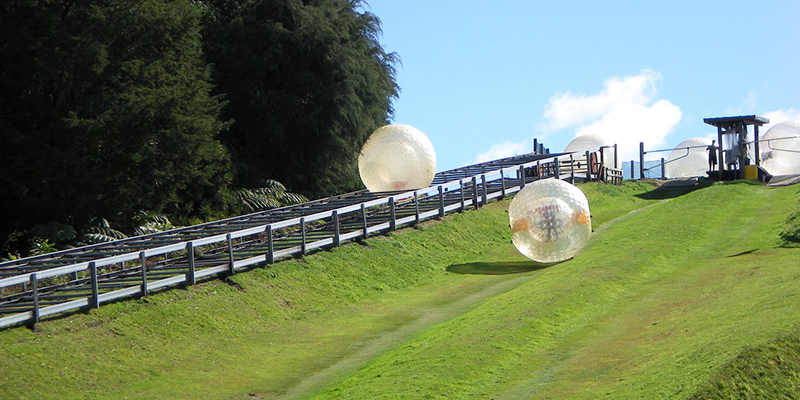 It offers you harnessed zorbs (big transparent balls) that can spin two persons at a time. Solang Valley is beautifully perched a little above the pristine Manali in Himachal Pradesh. But more than its interesting geographical location, Solang is exactly the place where you can experience Zorbing amidst lush green fields. Price Range: Rs.500 per person. How To Reach: The nearest railway stations to Solang are Chandigarh and Ambala. You will easily get buses and taxis to Manali from here. Love the sky but can’t fly as often as you want to? Don’t worry! Take this hot air balloon safari in Lonavla and enjoy the view of nearly 400ft. high up in the sky. The breathtaking and cool wind will make you feel on top of the world. The ride will take you through some of the lush greenery hills of the region, which will be worth every single penny spent. 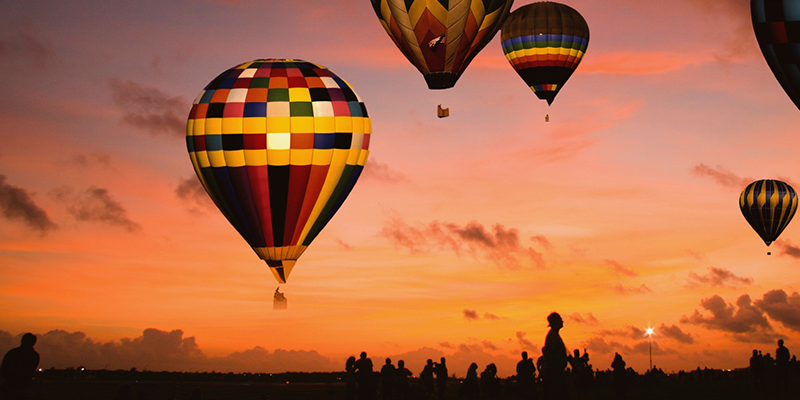 Suitable Weather Conditions: Hot air balloon rides are highly dependent on weather conditions. If the winds are not favourable, the balloon might not take off. How To Reach: Lonavla is a quick getaway for Mumbaikars and is just 3 hours away by bus. For long distance, Lonavla has a railway station through which many Lonavala – Pune suburban trains pass through. Perched atop the Sahyadri mountain range, the picturesque hill station of Saputara is about 400 km from Ahmedabad. Whether it is the green landscape, gardens, hills or the Saputara Lake, get ready to surrender yourself to nature. But, wait! This time you are not here just for nature walks and sightseeing. 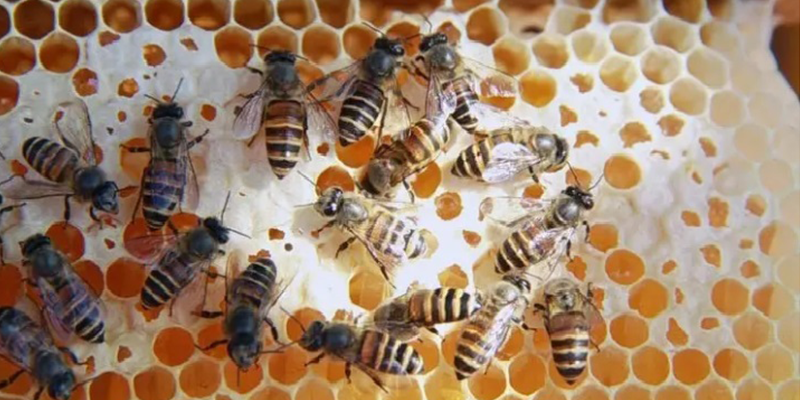 This hilly town is also home to a honey bee centre. It is a farm where you can experience domesticating wild bees (nurturing them and extracting fresh honey). It has different seasonal courses in which you can enroll and be a part of this exciting activity. Price Range: The cost would vary according to the package opted for. How To Reach: Saputara is at the border of Gujarat and Maharashtra and hence there are connecting buses from Mumbai, Pune, and Ahmedabad. The nearest railway station is at Waghai (50 KM). 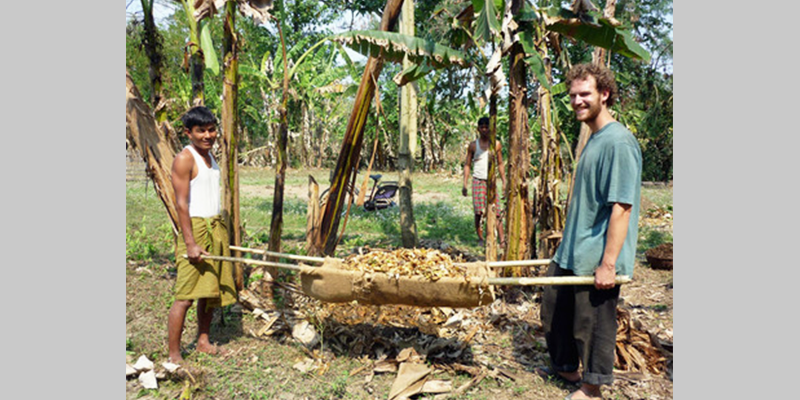 of greenhouse & solar structures and work with daily village activities. 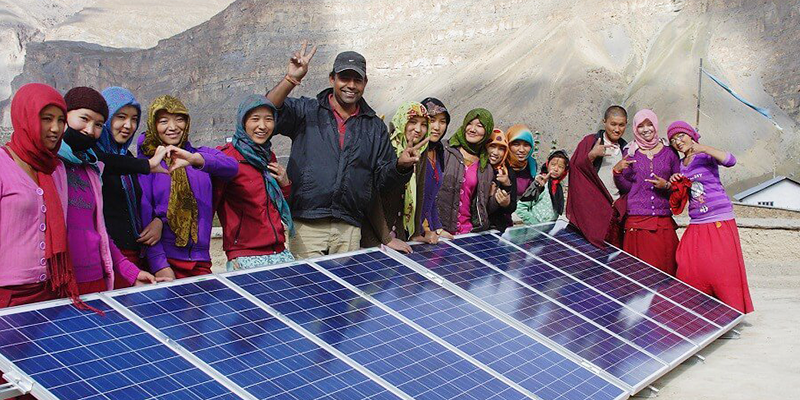 Spiti Ecosphere is one such social enterprise that aims to create sustainable livelihoods that are linked to nature and culture conservation. Fitness Matters: Fitness is essential before even planning about this volunteering. Time Period: Minimum period of commitment is between 4 days to 1 week. How To Reach: The nearest railway stations to Spiti is at Ambala/Chandigarh. You will easily get buses and taxis to Kullu from there. Fertile Ground in Assam provides encouragement, training, and resources to farmers, small-scale tea growers, extension staff, teachers, students and families living in the state of Assam. Their projects support people to grow healthy food by bringing together some of India’s traditional practices with low-cost practices that rely on locally available materials. Even you can be a part of this noble activity by involving in organic farming activities and participating in educational workshops for teachers & kids. For those you care about the environment: You truly need to be an environment enthusiast to get involved in such a meaningful vacation. How To Reach: Assam has its own railway station in Guwahati. So, ditch the usual and plan for an adventurous yet meaningful vacation this summer. Leave your mark and take away memories wherever you travel. Previous articleSomnath: The Indestructible Temple of India! This Mother’s Day, let your Mom be that carefree kid! If anyone want to go with me then mail me . Lonavla is such great place to travel, hey thanks for the sharing such good information. Incredible India. Thanks for sharing this blog. We are India’s Oldest No.1 Adventure Sports Company, Was Set Up In 1987 By A Team Of Army Officers, Offering The Best Adventure Sports Experiences In India. With 9 National Awards Under Its Sleeves And 100% Safety Record, Wanderlust Pioneered & Brought Bungee Jumps From Germany In India In 1999.